Transition Town Jericho (TTJ) started in December 2016. A kickoff meeting was held at the Jericho Town Library and 25 people showed up to hear Ruah Swennerfelt from Transition Charlotte speak about traveling around the world to explore the transition town movement. She actually wrote a book about it and enthralled us with her tales! 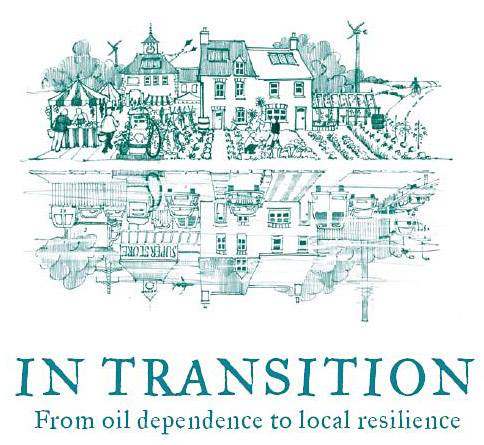 The transition town movement is about building resiliency in our towns and communities to confront peak oil, climate change and the numerous other issues we are facing . RepairCafes, skillsharing, local currencies are just a few manifestations of transition movements; how it manifests itself in Jericho is up to you and I, the people who live here. Vermont hosts a few other transition towns including Montpelier and Charlotte. Jericho's may be the newest to date. From that initial meeting, a steering group was formed and Transition Town Jericho was off the ground! Since then monthly meetings of the steering group have ensued, along with general gatherings featuring guest speakers. Workgroups in several areas have been formed, including public speaker series, Inner Transition (book group) and hydroponic gardening. Mission Statement: Transition Town Jericho’s mission is to unleash the collective skills and resources in our town and support grassroots community projects. Through education and networking efforts, we strive to nourish, celebrate and sustain each other as a community, preparing ourselves for whatever the future holds. Check out transitionnetwork.org for general info and http://www.transitionus.org/ for US transition info. Hope to see you at our gatherings, held on fourth Mondays at the Jericho Community Center or Jericho Town Library from 6 to 7:30pm. Please email lmarkowitz2408@gmail.com for meeting updates!